 Ace Hardware & Sports is proud to present Tapped. Brewers from all over Michigan will be coming to downtown Midland for a craft beer celebration on Saturday, June 20th. In addition to sampling their stouts, ales, and lagers, there will me a Maker’s Market outside the beer tent featuring artisans, musicians, & food. After the tent closes, 5 downtown pubs will be hosting tap takeovers. Hop from bar to bar tasting the very best of Michigan brews. Smitten Designs Studio – When New Orleans native Ivette Dixon visited Traverse City in 2010, she was taken aback by the breathtaking beauty of the Great Lakes State. In 2013, she opened up a design studio that specializes in Michigan-inspired jewelry, apparel, and crafts. You can learn more about them at their website, & visit their stand at the Maker’s Market at Tapped. Buy a Tapped t-shirt from Custom Decor N More online at squareup.com or at their booth at the Maker’s Market. Short’s, New Holland, Bell’s, Founder’s, & Right Brain are just a few of the breweries who will be pouring out samples of their craft beers. The tent will be open from 2pm until 6pm. Attendees must be over the age of 21. Tickets can be purchased online at the Tapped Beer Fest website. Michigan’s best breweries will take over the taps in Downtown Midland. No tickets necessary – just hop from bar to bar & sample the finest beers that Michigan has to offer.